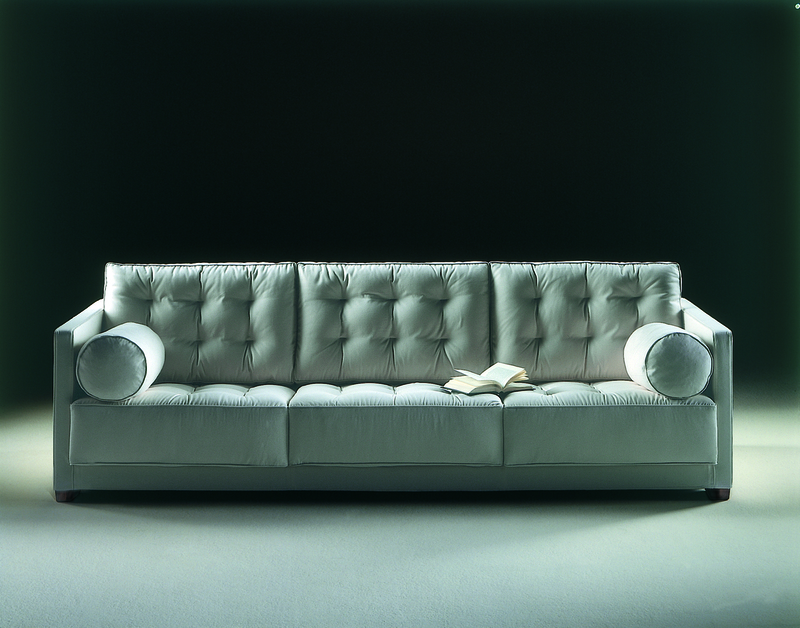 The fine capitonné work in leather or fabric gives the Le Canapè sofa its character. The effect is reinvented by replacing the classic buttons with original stitching with two eyelets. The contemporary look of the sofa, linear and resting on the floor, updates an upholstery technique that elegantly conveys the flavor of sofas from the early 20th century. The generously padded sofa with springs in the seat conceals a wooden structure. The seat contains two down-filled armrest rolls. A comfortable ottoman can complete the configuration.